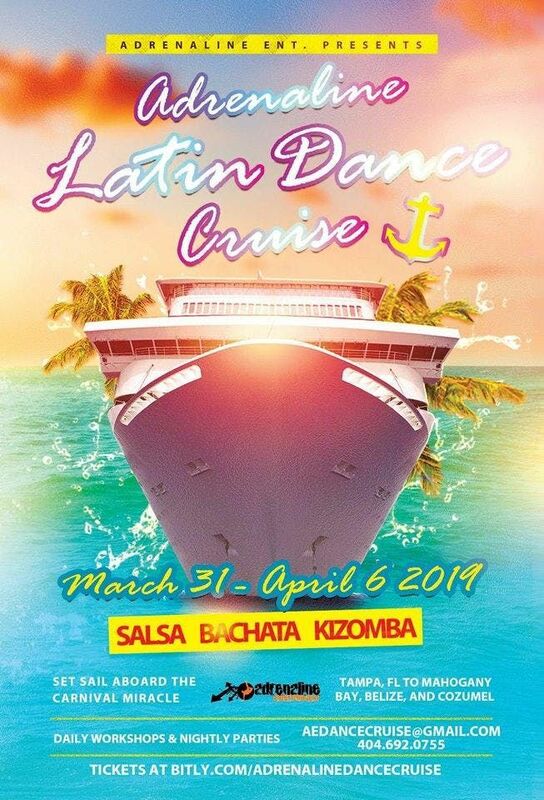 Adrenaline Entertainment, LLC is the premier company organizing salsa/bachata/kizomba cruises out of Atlanta, GA. Nightly parties, great workshops, exotic locations, and fun people! Our next 6-day voyage will occur March 31, 2019 aboard the Carnival Miracle. We'll sail out of Tampa, FL to Mahogany Bay, Belize, and Cozumel.